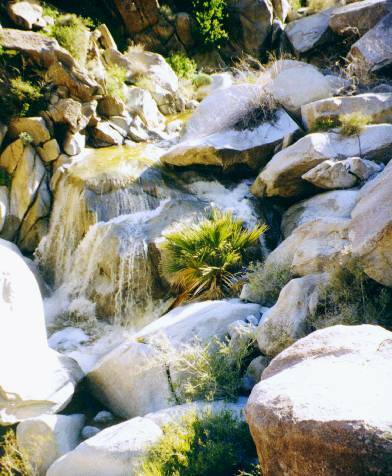 Anza-Borrego Desert State park, a National-Park-Quality state park in southern California, is one of my favorite places on earth. I go there to escape from the rest of southern CA on my trips there to visit family! I love my family but southern CA's cities drive me nuts and "escapes" to the desert or nearby Mexico really help. 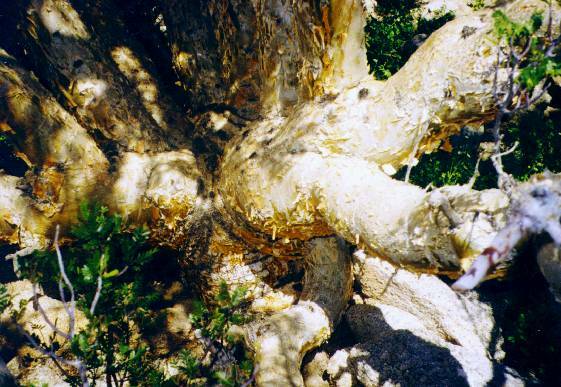 I hope to spend a bit of time there in the winter of 2002 to get some new pictures. 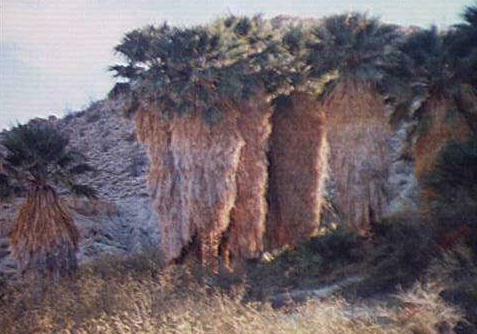 The California State Parks Anza-Borrego Desert State Park Web site says: "With over 600,000 acres, Anza-Borrego Desert State Park is the largest desert state park in the contiguous United States. 500 miles of dirt roads, two huge wilderness areas (comprising 2/3 of the park) and 110 miles of riding and hiking trails provide visitors with an unparalleled opportunity to experience the wonders of the Colorado Desert. 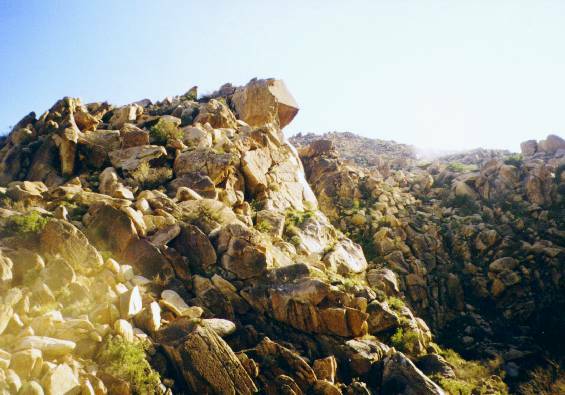 The park name is derived from a combination of the name of Spanish explorer Juan Bautista de Anza and the Spanish word "borrego," referring to bighorn sheep. 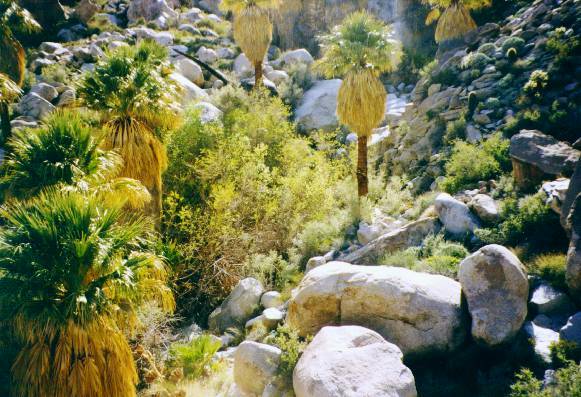 The park features washes, wildflowers, palm groves, cacti and sweeping vistas. 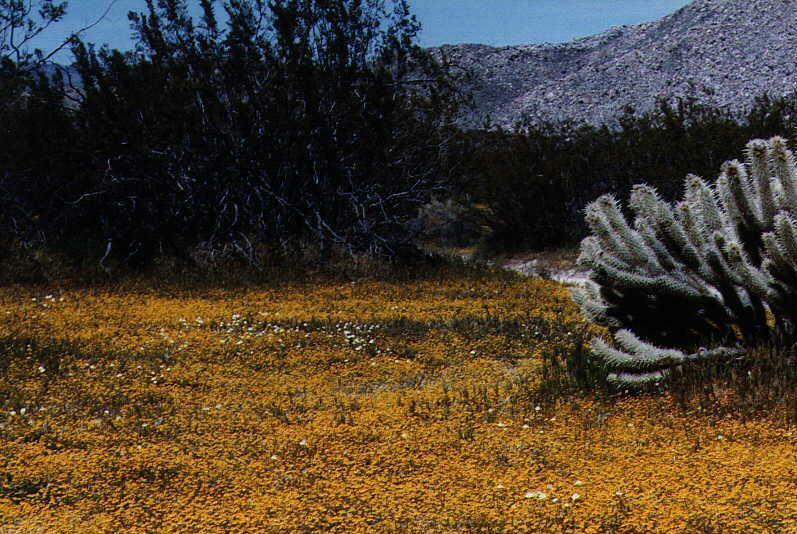 Visitors may also have the chance to see roadrunners, golden eagles, kit foxes, mule deer and bighorn sheep as well as desert iguanas, chuckwallas and four species of rattlesnake." 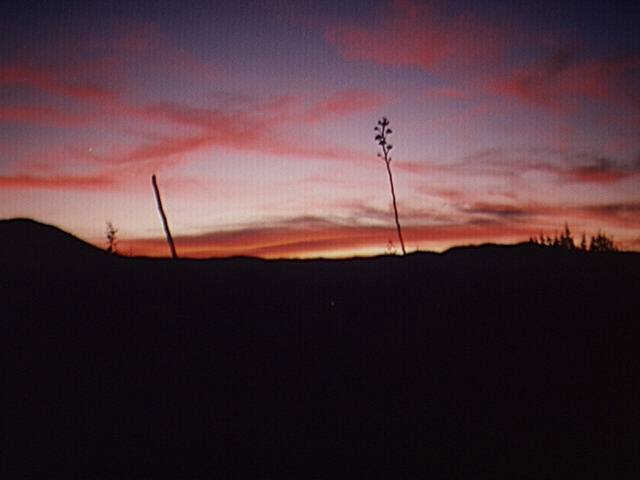 The park is the nation's 2nd largest state park and California's biggest. A wide variety of terrain, climates, and landscapes make it especially interesting. 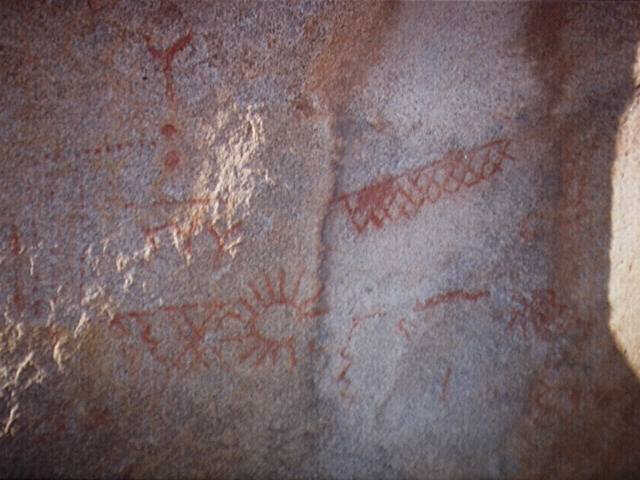 Geologically, biologically, anthropologically, and scenically the park is full of attractions. Among them, the many native palm groves (oases) are my favorite attraction. 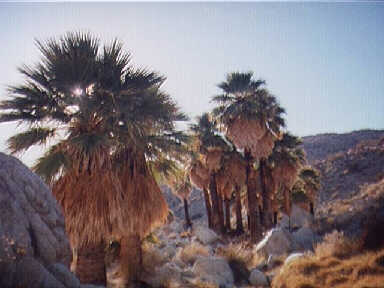 The palms are Washingtonia filifera, California's only native palm. They are in very common horticultural use in the coastal parts of California (and many other parts of the world) though as native plants they are only found in California and parts of northern Mexico in scattered groves in the desert (although I have heard reports of one or two small groves in Arizona). The groves are full of life, a sort of focal point for the insects, mammals, and birds of the desert. 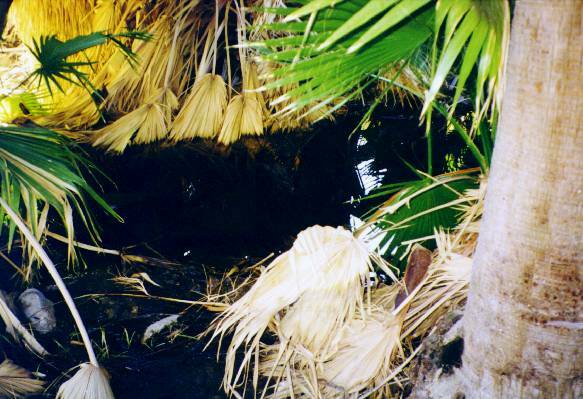 Many have small streams or pools under the palms, and the best have never been burned by accident or vandals. 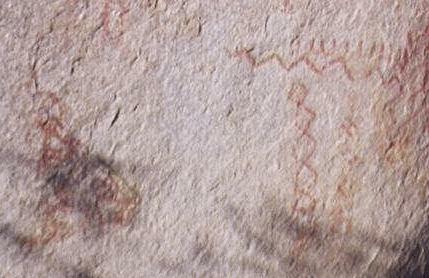 I also love the landscapes of grainy granitic rock, a sample of which forms the background of this page. This little pool at Southwest Grove, Mountain Palm Springs is under a dense growth of palms. 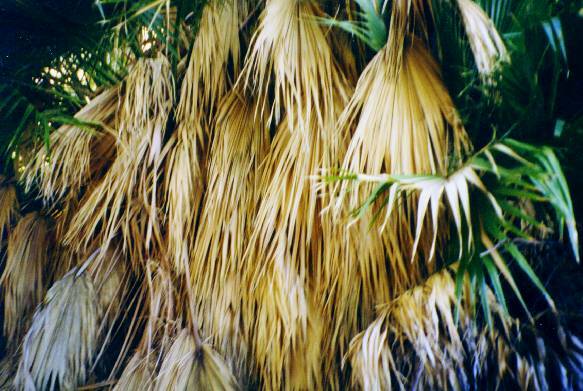 I think the mixture of dead and living leaves and light and shadows under the palms makes interesting patterns. 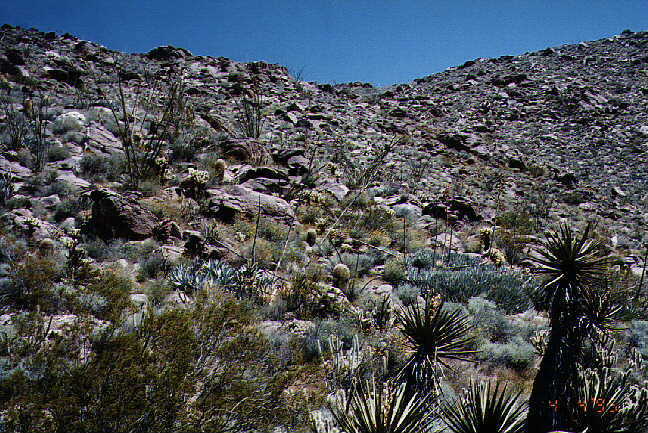 1998 The rocky wilderness of Bow Willow canyon near the lower palms. For most of these pictures, see 7.5 minute (1:24000) scale USGS quadrangles for "Sweeney Pass CA" and "Sombrero Peak CA." There are a number of other maps USGS quadrangles of Anza-Borrego; see a good index to get an idea of them all. 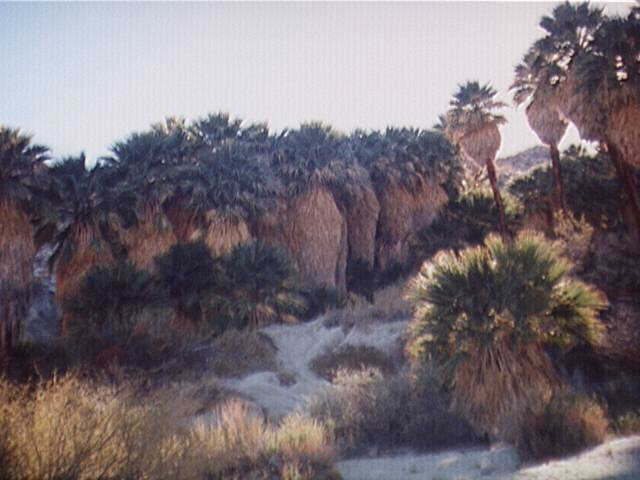 At the 7.5 minute scale, maps that include at least a part of Anza-Borrego include Borrego Palm Canyon, Clark Lake, Fonts Point, Seventeen Palms, Tubb Canyon, Borrego Sink, Borrego Mountain, Shell Reef, Julian, Earthquake Valley, Harper Canyon, Borrego Mountain SE, Monument Peak, Agua Caliente, Arroyo Tapiado, Carrizo Mountain NE, Sombrero Peak, Sweeney Pass, Carrizo Mountain, Jacumba, and In-Ko-Pah Gorge. 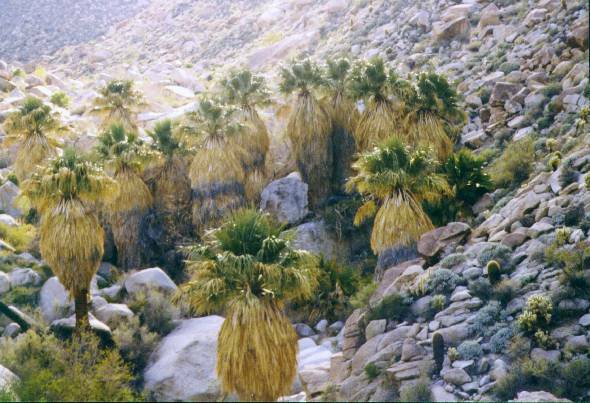 The palm pictures are in Mountain Palm Springs (an easily reached group of several groves in southern Anza-Borrego), and in nearby Bow Willow Canyon, a somewhat more strenuous hike. Both areas are near the pleasant (pay) campground at Bow Willow Ranger Station and the primitive (and RV over-run) camp at Mountain Palm Springs. 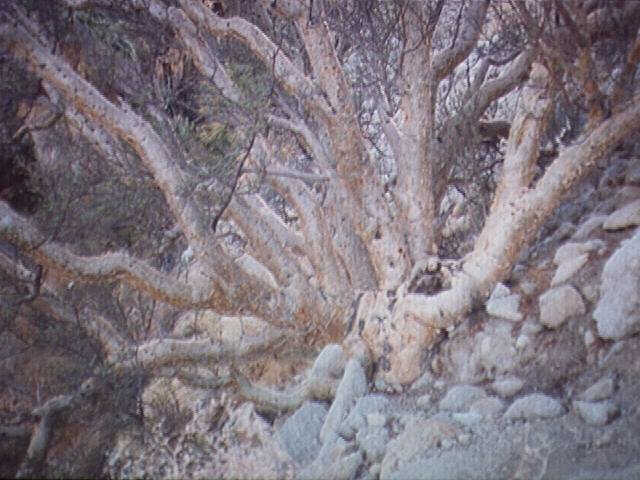 To see a good topo of Bow Willow canyon, where many of these pictures were taken, or other sites in Anza Borrego, try Topozone.com. Use the search feature and put in a place name such as "Bow Willow CA."